A Rich Businessman Clipart Collection with 106 ready-to-use poses. This Handsome businessman will definitely grab the attention of your visitors. 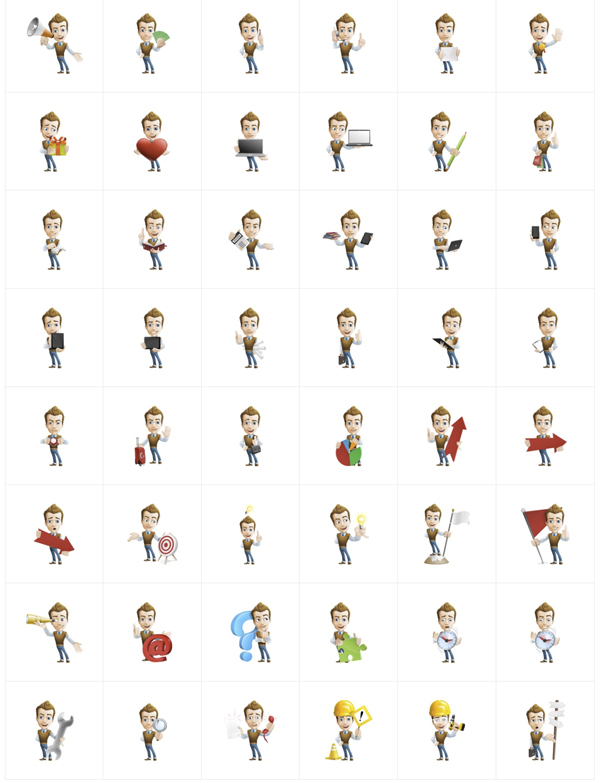 Don’t hesitate and grab this realistic business character now, because he’s coming in more than one hundred great business poses. They are made of vector shapes, and you can easily modify the colors and shapes to fit your needs. Anyway, if you are not familiar with vector files, you can use all of the cliparts as a transparent PNGs.